Keywords: Innate Immunity, Reptile, Varanid. Soluble phospholipase A2 (sPLA2) is an enzyme found in the peripheral circulation of vertebrates which has significant immunological activity. This enzyme exerts immune activity by the hydrolysis of fatty acids from the sn-2 position of membrane glycerophospholipids of microbes, thus compromising membrane integrity and casing eventual lysis. We utilized membrane fatty acids labeled with a fluorescent probe (BODIPY) at the sn-2 position fatty acid to label the membranes. 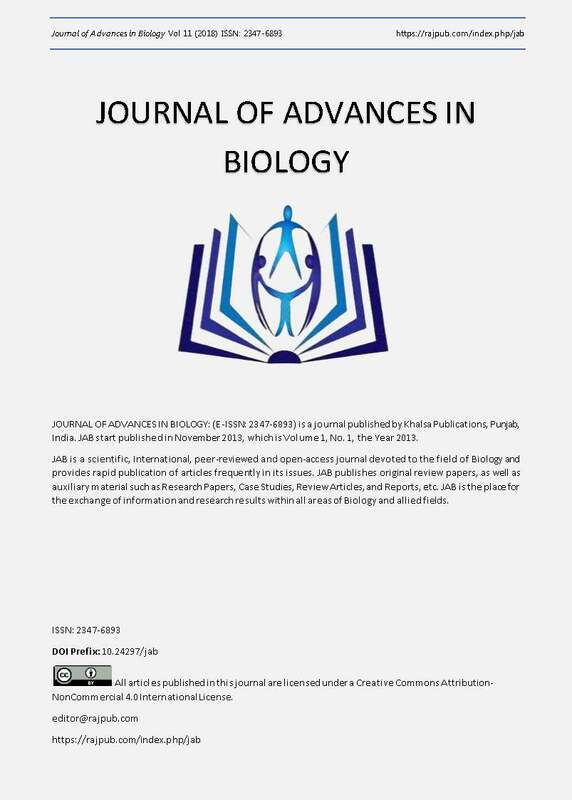 Incubation of different volumes of serum from Komodo dragons with BODIPY-labeled bacteria resulted in liberation of labeled fatty acid in a serum volume-dependent manner. This cleavage of fatty acid occurred rapidly, with a biphasic production of fluorescent product. An immediate accumulation of product was noted, which increased steadily for a 30-minute period, followed by a slower hydrolysis between 30 and 180 min. The activity was temperature-dependent, with low activities observed at 5oC and a linear increase up to 40oC. The liberation for fatty acid was inhibited by p-bromophenacyl bromide, a specific phospholipase A2 (PLA2) inhibitor, in a concentration-dependent manner, indicating that the activity was due to the presence of sPLA2. Brown, W. J., Chambers, K., and Doody, A. 2003. Phospholipase A2 (PLA2) enzymes in membrane trafficking: mediators of membrane shape and function. Traffic 4, 214-221. Fonteh, A., N., Bass, D. A., Marshal, L. A., Seeds, M., Samet, J. M., and Chilton, F. H. 1994. Evidence that secretory phospholipase A2 plays a role in arachidonic acid release and eicosanoid biosynthesis by mast cells. J. Immunol. 152, 5438-5446. Balsinde, J., Winstead, M. V., and Dennis, E. A. 2002. Phospholipase A2 regulation of arachidonic acid mobilization. FEBS Lett. 531, 2-6. Vadas, P., Browning, J., Edelson, J. and Pruzanski, W. 1993. Extracellular phospholipase A2 expression and inflammation: the relationship with associated disease states. J. Lipid Mediat. Cell Signal. 8, 1–30. Dominiecki, M. E., and Weiss, J. 1999. Antibacterial action of extracellular mammalian group IIA phospholipase A2 against grossly clumped Staphylococcus aureus. Infection and Immunity, 67(2), 2299–2305. Beers, S. A., Buckland, A. G., Koduri, R. S., Cho, W., Gelb, M. H. and Wilton, D. C. 2002. The antibacterialproperties of secreted phospholipases A2,” J. Biol. Chem. 277, 1788–1793. Huhtinen, H. T., Gronroos, J. O., and Gronroos J. M. 2003. Antibacterial effects of human group IIA and group XIIA phospholipase A2 against Helicobacter pylori in vitro. Acta Pathol. Microbiol. Scand. 114, 127– 130. Bull, J. J., Jessop, T. S., and Whiteley, M. 2010. Deathly drool: evolutionary and ecological basis of septic bacteria in Komodo dragon mouths. PLoS ONE 5(6): e11097. doi:10.1371/journal.pone.0011097. Fry B. G., Wroe S., Teeuwisse, W., van Osch, M. J. P., Moreno, K., Ingle, J., McHenry, C., Ferrara T., Clausen P., Scheib H., Winter K. L., Greisman L., Roelants K., van der Weerd L., Clemente C. J., Giannakis E., Hodgson W. C., Luz S., Martelli P., Krishnasamy K., Kochva E., Kwok H. F., Scanlon D., Karas J., Citron D. M., Goldstein E. J. C., McNaughtan, J. E., Normalna, J. A. 2009. A central role for venom in predation by Varanus komodoensis (Komodo Dragon) and the extinct giant Varanus (Megalania) priscus. Proc. Natl. Acad.Sci. USA, 106, 8969-8974. Merchant, M., Henry, D., Falconi, R., Muscher, B., and Bryja, J. 2013. Antibacterial activity of serum from the Komodo dragon (Varanus komodoensis). Microbiol. Res. 4, 16-20. Merchant, M., Falconi, R., Muscher, B., and Bryja, J. 2013. Characterization of serum complement activity in serum of the Komodo dragon (Varanus komodoensis). Adv. Biol. Chem. 2, 353-359. Merchant, M., Henry, D., Falconi, R., Musher, B., and Bryja, J. 2015. Characterization of dipeptidyl peptidase enzyme activity in serum of the Komodo dragon (Varanus komodoensis). Int. J. Biochem. Res. Rev. 5(2), 145-52. Bishop, B., Juba, M., Russo, P., Barksdale, S., Scott, S., Settlage, R., Michalak, P., Gupta, K., Vliet, K., Schnur, J., and Van Hoek, M. 2017. Discovery of Novel Antimicrobial Peptides from Varanus komodoensis (KomodoDragon) by Large-Scale Analyses and De-Novo-Assisted Sequencing Using Electron-Transfer Dissociation Mass Spectrometry. J. Proteom. Res. 16, 1470-1482. Ozinsky, A., Underhill, D. M., Fontenot, J. D., Hajjar, A. M., Smith, K. D., Wilson, C. B., Schroeder, L., and Adrem, A. 2000. The repertoire for pattern recognition of pathogens by the innate immune system is defined by cooperation between Toll-like receptors. Proc. Natl. Acad.Sci. USA 97, 13766–13771. Kawai, T., and Akira, S. 2010. The role of pattern-recognition receptors in innate immunity: update on toll-like receptors. Nature Immunol. 11, 373-384. Fraenkel-Conrat, H. 2008. Snake Venom Neurotoxins Related to Phospholipase A2. J. Toxicol. 1, 205-221. Nevalainen, T. J. Kanchanapangka, S., Youngprapakorn, P., Webb, G. J. W., Manolis, S. C. and Scott, K. F., Phospholipase A2 activity of crocodile serum. Reptilia-Amphibia 30, 119–125. Merchant, M., Heard, R., and Monroe, C. 2009. Characterization of phospholipase A2 activity in serum of the American alligator (Alligator mississippiensis). J. Exp. Zool. A 311, 662-666. Siroski, P., Merchant, M., Poletta, G., Larriera, A., and Ortega, H. 2013. Detection and characterization of phospholipase A2 (PLA2) in Caiman latirostris and Caiman yacare plasma. Zool. Sci. 30, 35-41. Montgomery, J. M., Gillespie, D., Sastrawan, P., Freeking, T. M., and Stewart, G. L. 2002. Aerobic salivary bacteria in wild and captive Komodo dragons. J. Wildl. Dis. 38, 545-551. Harlow, H., Purwandana, D., Jessop, T., and Phillips. J. 2010. Size-Related Differences in the Thermoregulatory Habits of Free-Ranging Komodo Dragons. Int. J. Zool. http://dx.doi.org/10.1155/2010/921371. 24. Longo, W. E., Grossman, E; M;, Erickson, B., Panesar, N., Mazuki, A. E., Kaminski, D. L. 1999. The effect of phospholipase A2 inhibitors on proliferation and apoptosis of murine intestinal cells. J. Surg. Res. 84, 51–56. Volwerk, J.J., Pieterson, W.A., de Haas, G.H., Histidine at the active site of phospholipase. Biochem. 13, 1446-1454.